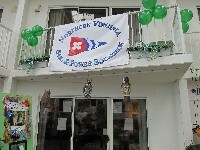 Here are some member-supplied pictures of NVSPS events. Each event has a page of thumbnail pictures that you can browse. To get to the page, click on the event title or thumbnail picture. Once on the page of thumbnails, if you click on a thumbnail you will see the larger picture. You can also navigate from larger picture to larger picture by using the "next" and "prev" links above and below each larger picture. Browse pictures from the 2019 NVSPS Holiday party and other events. Browse pictures from the 2018 NVSPS tour of a chart printing company in September. Browse pictures from the 2018 NVSPS Change of Watch event in March. Browse pictures from the December 2017 NVSPS holiday dinner-dance. Browse pictures from miscellaneous 2017 NVSPS events. Browse pictures from the 2017 NVSPS celebration of its 50th anniversary at the Springfield Golf and Country Club in May. Browse pictures from the April 8 visit to USCG Baltimore and the training ship Eagle. Browse pictures from the NVSPS hospitality suite at the D5 Spring Conference in March/April 2017. Browse pictures from the 2017 NVSPS Change of Watch event in March. Browse pictures from the 2016 NVSPS Holiday party in December. Browse pictures from the 2016 NVSPS Change of Watch event in March. Browse pictures from the March 17 visit to USCG Baltimore Shipyard. Browse pictures from various smaller 2016 events. Browse pictures from the December 2015 Holiday Party at P.J. Skidoos. Browse pictures from the Vessel Safety Checks at the Fairfax Yacht Club, May 2015. Browse pictures from various smaller 2015 events. Browse pictures from the NVSPS hospitality suite at the D5 Spring Conference in March 2015. 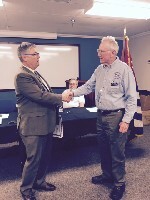 Browse pictures from the 2015 NVSPS Change of Watch event in March. Browse pictures from the January 2015 Holiday Party at the Fairfax American Legion. Browse pictures from our 2015 visit to UK Sailmakers in Annapolis, MD. Browse pictures from our 2014 Oktoberfest potluck dinner at Fairfax Yacht Club. Tour of the research vessel Rachel Carson in Solomons Island, MD. Browse pictures from our 2014 tour of a marine biology research vessel. Browse pictures from our 2014 Wounded Warrior Cruise out of Pax River. Browse pictures from the Spring Picnic in May 2014. 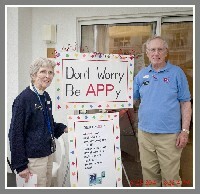 Browse pictures from the NVSPS hospitality suite "Don't Worry, Be Appy" at the D5 Spring Conference in March 2014. Browse pictures from the 2014 NVSPS Change of Watch event in March. Browse pictures from our 2013 Wounded Warrior Cruise out of Pax River. Browse pictures from the NVSPS hospitality suite at the D5 Spring Conference in April 2013. Browse pictures from the 2013 NVSPS Change of Watch event in March. Browse pictures from various smaller 2013 events. Browse pictures from various smaller 2012 events. Browse pictures from our 2012 Wounded Warrior Cruise out of Pax River. Browse pictures from the NVSPS hospitality suite at the D5 Spring Conference in late March. 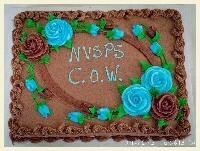 Browse pictures from the NVSPS Change of Watch event in March. 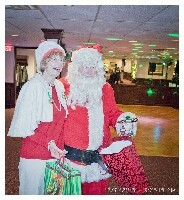 Browse pictures from the December 9th Holiday Party at the Fairfax American Legion. 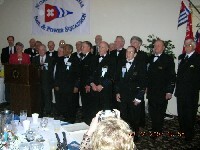 Browse pictures from the October 15th International Pot Luck Dinner at the Fairfax Yacht Club. Browse pictures from the NVSPS Labor Day cruise to the West River. Browse pictures from the NVSPS award-winning hospitality suite at the D5 Spring Conference in March. Browse pictures from the NVSPS Holiday Party on December 4th. 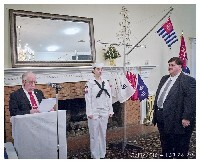 Browse pictures from the Sea Scout Ship 1942's Bridge of Honor ceremony in November. 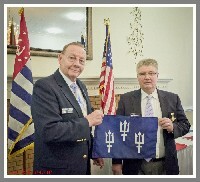 Browse pictures from the October 16th International Pot Luck Dinner at the Fairfax Yacht Club. Browse pictures from the August 7th cruise for Wounded Warriors from Water Reed Army Medical Center and Fort Belvoir. Browse pictures from the D5 Spring Conference, March 2010 in Ocean City, MD. 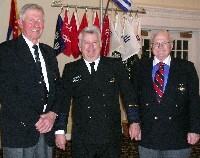 Browse pictures from the March 2010 NVSPS Change of Watch. Browse pictures from the December 2009 NVSPS Holiday party. 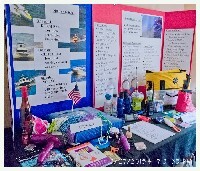 Browse pictures from the October 10th cruise for Wounded Warriors from Water Reed Army Medical Center. Browse pictures from the September D/5 Trawler Fest. Browse pictures from the May 13, 2009 membership meeting, where Educational Proficiency certificates were presented to Sea Scout Andrew Scheuermann and J.J. Fitzgerald. Browse pictures from the 2009 Spring Conference, March 2009 in Ocean City, MD. Browse pictures from the March, 2009 NVSPS Change of Watch. Browse pictures from the February, 2009 boat show. 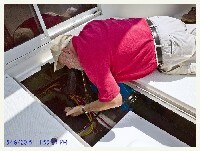 Browse pictures from the 2009 vessel safety checks. Browse pictures from the Winter, 2008 boat show. Browse pictures from the March, 2007 NVSPS 40th anniversary celebration. 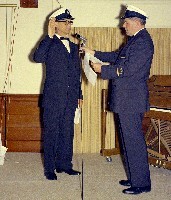 You can also see a review of the entire forty years in the squadron history document. Browse pictures from the 2002 Summer Council that NVSPS hosted at Herrington Harbour South for District 5. 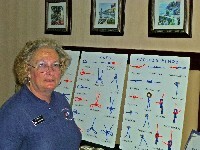 Browse pictures from a geodetic mark recovery trip conducted in Occoquan in 2002. Browse pictures from the first NVPS Change of Watch ceremony at the end of the first year of squadron existence.